The MBM 0624 352F Versatile High Speed Friction Folder saves time and money. Dual roller friction feed system accepts a wide variety of stocks. Adjusts in seconds for standard and custom folds. Variable speed control. Powered exit conveyor. Sheet separation from top of fanned stack. Polyurethane foam rollers eliminate the need for fold roller pressure settings. Heavy-duty, non-flexing side frames. Needle bearings for high speed production. 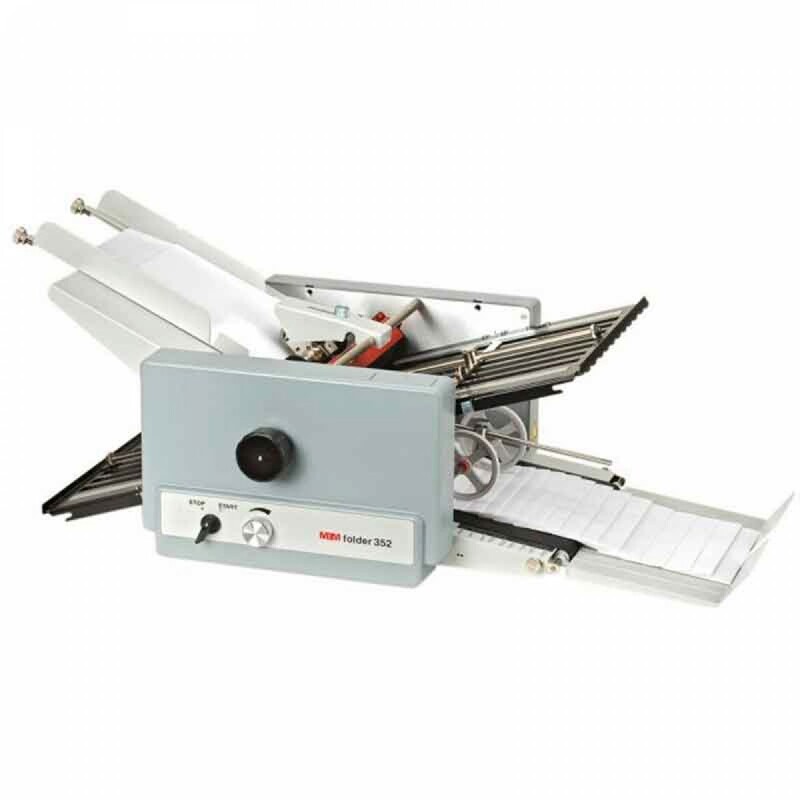 Optional extended delivery system, crossfold for right-angle folding, and slitting, scoring, and perforating attachments. UL and C UL approved. Paper size -2" x 2 3/4" to 14" x 21 1/4"
Paper weight - 13 TO 110 lbs. (D x W x H) 22 1/4" x 41 3/4" x 14 1/2"